This circular sign has a red border and clear white center, which can be illuminated from inside. 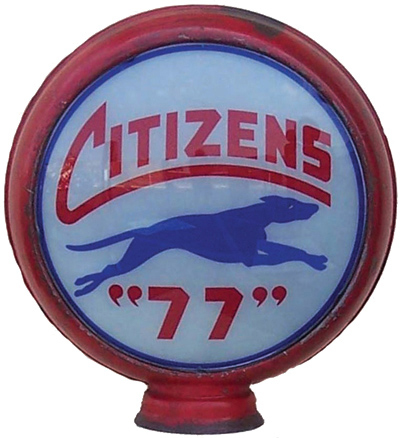 The “Citizens” logo is printed in red on the white section of the sign. Below is the picture of a running greyhound, and the number 77 in quotation marks appears below that.